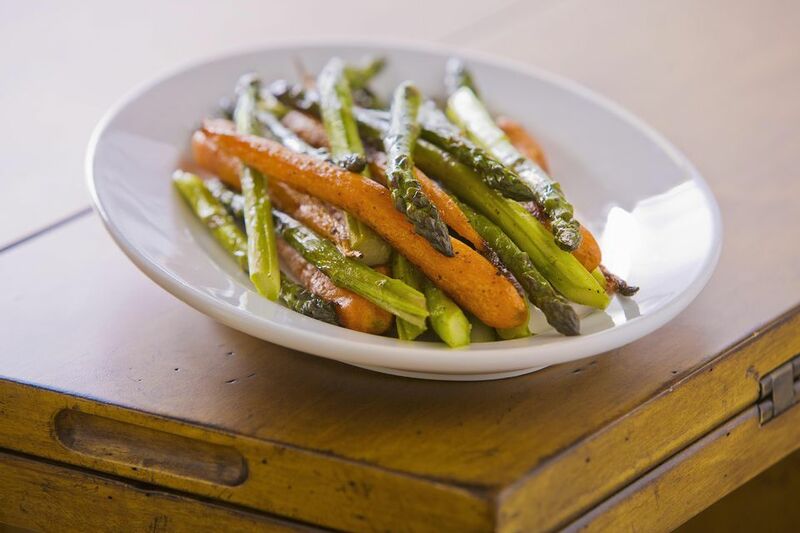 Asparagus and carrots with lemon sauce make a particularly attractive side dish for just about any entree, including chicken, beef, and lamb. In a deep large skillet, bring 1-inch of water to a boil. Add the carrots. Reduce the heat to medium. Cover and simmer for 4 to 6 minutes, or until crisp-tender. Remove the carrots with a slotted spoon to a colander. Add the asparagus to the water in the skillet. Cover and simmer for 6 minutes, or until crisp-tender. Pour the asparagus and water into a colander. Wipe the skillet dry. In the same skillet, melt the butter over medium heat. Add the lemon zest, ​lemon juice, salt, and pepper. Return the carrots and asparagus to the skillet. Stir for 1 to 2 minutes, or until well coated and heated through. Serve right away.